Greetings, and happy Friday! 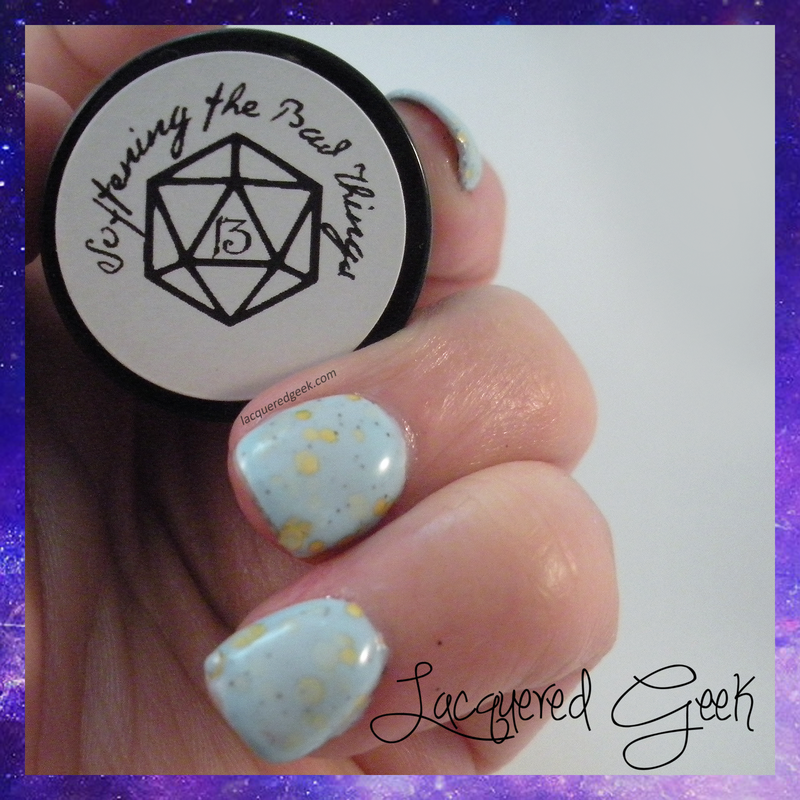 I'm excited to share one of my absolute favorite polishes in my entire collection. 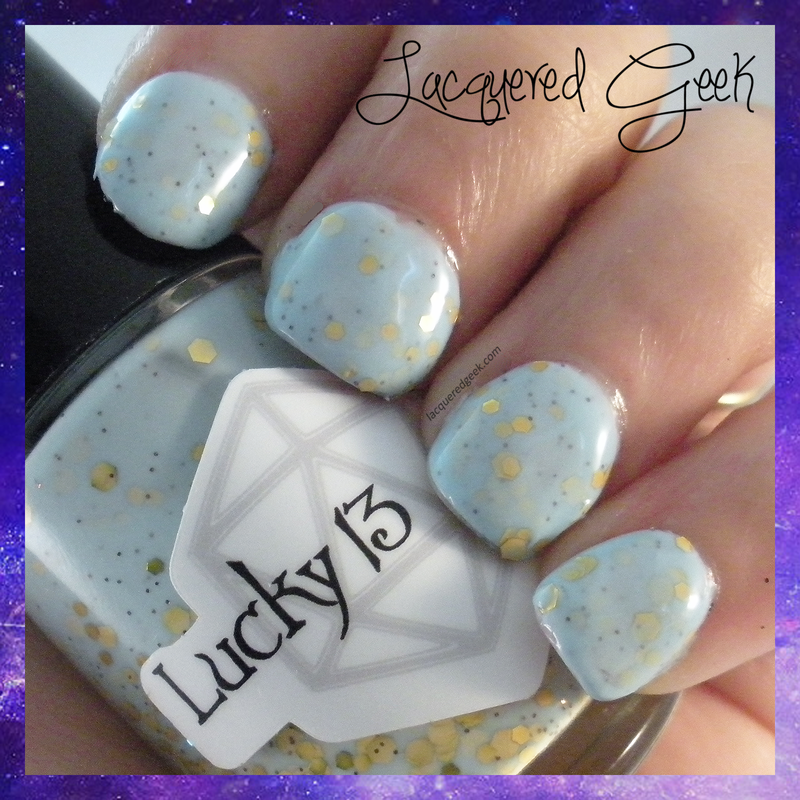 It's one of the few that I find myself reaching for time and time again - Softening the Bad Things from Lucky 13 Lacquer. Softening the Bad Things was originally released to help raise awareness about depression. I've dealt with depression for a number of years, and I know the personal impact that the disorder has, as well as the impact that it has on friends and family. Softening the Bad Things was inspired a quote from one of my favorite Doctor Who episodes, Vincent and the Doctor. Now that I've gotten all mushy, on to the polish! 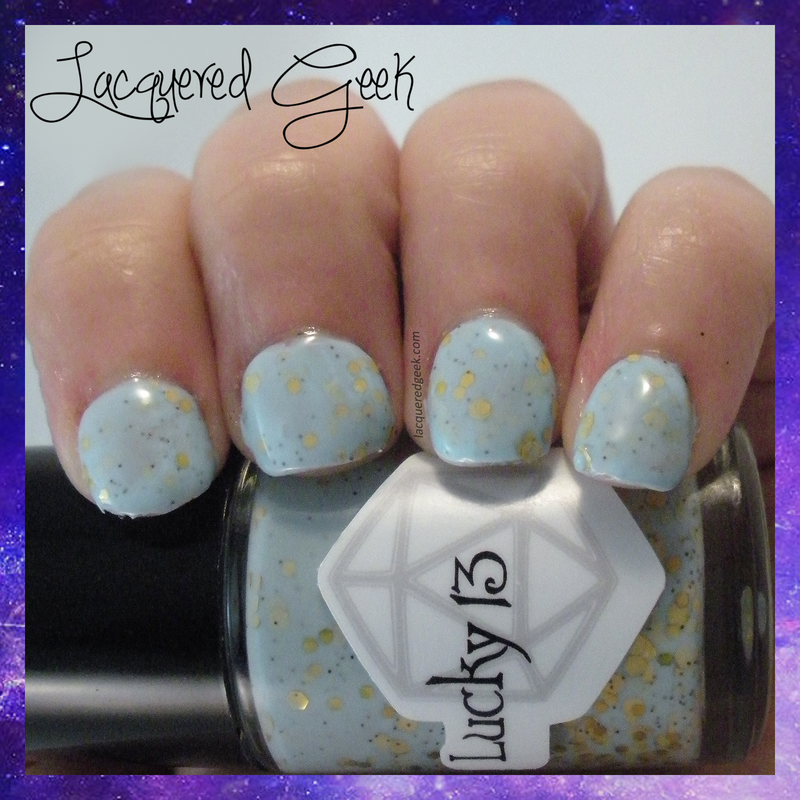 Softening the Bad Things is a light blue crelly with tiny bronze and larger gold glitters. The colors are reminiscent of Van Gogh's Sunflowers painting. The formula of the polish was just a little on the thick side, but still easy to work with. I used 2 coats for these photos, plus a top coat. The original runs of Softening the Bad Things were limited in quantity, however for the best news is that it is back for a short time! 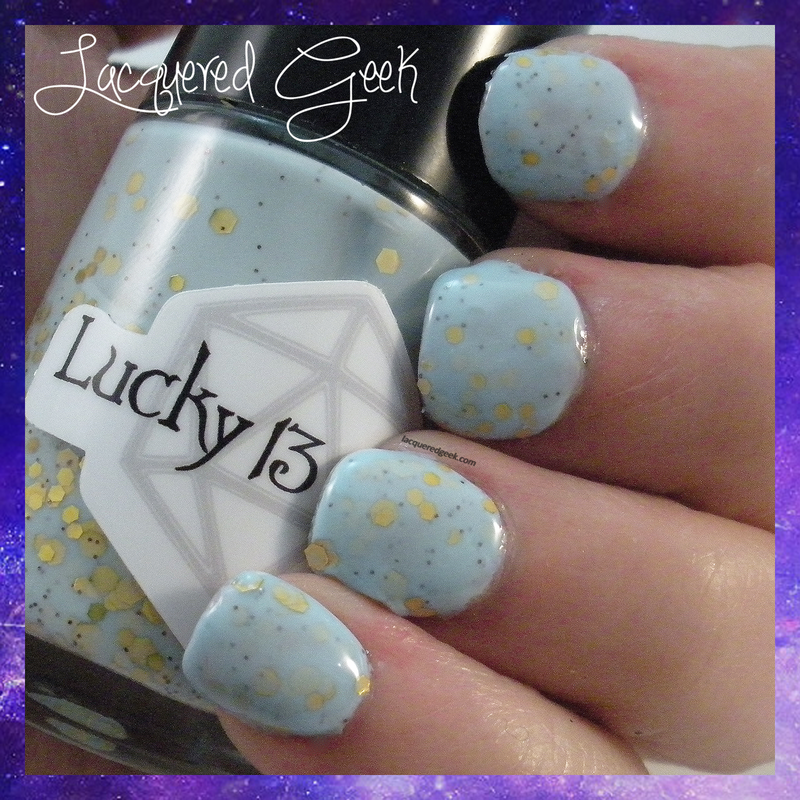 It's available right now for $8.50 at Lucky 13 Lacquer. Do you have a polish or color that you find yourself wearing when you're having a bad day? I want this polish so badly.. like it's absolutely beautiful! Robin's egg and gold are a match made in heaven!